Click here to view Anat's CV. 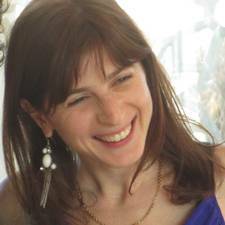 Anat Hurwitz is a PhD candidate in the Management & Organizations Group at NYU Stern School of Business. Anat’s broad research interest is in processes that facilitate or hinder personal growth at work from multiple different perspectives. The driving motivation and intention behind these different projects is to identify emotional, relational and cognitive states that allow people to grow at work and to do so constructively and not at the expense of others. Aligned with this overarching interest, her dissertation involves unpacking the process of experiencing pride at work as it unfolds over time, examining its antecedents characteristics and consequences in the context of work and organizations. Anat is also interested in listening as a relational pathway to co-creating social status and fostering mutual growth within dyadic interactions. Finally, she also studies (non)zero-sum perceptions (lay theories) of status and their effects on outcomes such as sabotage, helping or knowledge valuation. Processes that facilitate/hinder personal growth at work. Self-conscious emotions in organizational settings (Pride, Hubris). Relationship between listening and social status. Lay theories’ role in the dynamics of social hierarchy.